A grey, rainy and dreary day was the main reason we decided to wipe our schedule clean of the overground hikes and explorations, and instead spend the day underground. 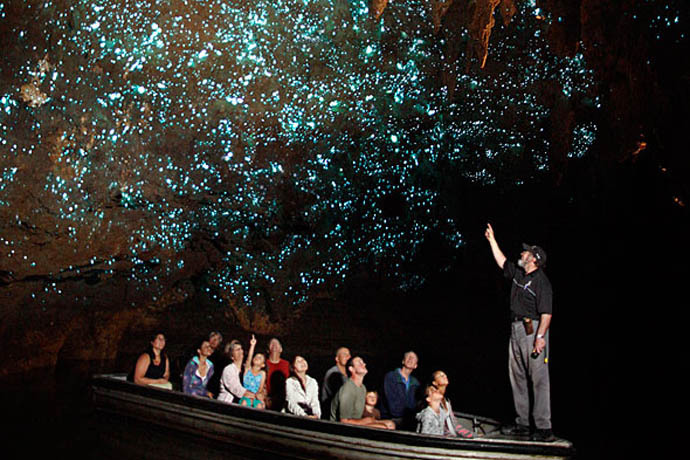 We had heard remarkable reviews of the Waitomo Glowworm Caves, and after doing a bit of research we decided to go and see the glowworms up close and personal. Here is some more information on the caves and tours available, if you want to know more about them before reading on. To go into the cave you must go as part of guided groups, which aside from the price is wonderful because the cave is owned and operated by the Maoris, the native settlers of New Zealand. Our guide was hilarious and was able to tell us a lot of history as we walked through. My favorite part of the walking portion of the tour was stepping into the Cathedral cave and having our Maori guide sing a native song to show off the impressive acoustics of the cave. After completing the walking part of the tour, we had explored a lot of the cave, but had not seen too many glow worms. For that, we all boarded a boat in the dark, but to be honest it was no scarier than hopping on a gondola in Venice! Once on the boat, our guide asked everyone to remain completely silent and just enjoy the ride and the serenity of the cave. We were all completely mesmerized as we looked up and watched the thousands upon thousands of dazzling tiny blue dots on the cave's ceiling, like being in space while underground. I was actually surprised at how quiet Kian and Hannah remained the entire time. Usually they have to ask a ton of questions, but I think they were just as awed. The boats were "steered", or rather dragged forward, by our guide using a series of ropes hanging between the walls! Unfortunately, photography was not allowed in the cave at all. The pictures you see below are the only ones we were able to 'sneak' that are somewhat decent to share, the rest ended up being too dark or blurry. The most fascinating thing we learned during our tour was that the glow worms are actually not worms at all, but rather the larvae of an insect called Fungus Gnat, and they glow through bioluminescence. They feed themselves in a similar manner to spiders in that they "weave" a web. The difference is that their net is really no more than a series of sticky strings hanging from the cave's ceiling. Insects that fly towards the luminescent light are caught on the net and are promptly eaten by the glowworm. The glowworm then spends a lot of time repairing the net for its next prey. This larvae stage is the only time that the Fungus Gnat can eat, as the adult actually does not have a mouth!! I don't know about you, but the thought of a glowing larvae grosses me out a lot more than a glowing worm. After the glowworm caves, we had a few hours before our next underground tour at the Ruakuri Cave. We grabbed lunch at the nearby Big Apple Cafe, which made us chuckle a little bit as it was a fun reminder of New York City, all the way on the other side of the globe! After lunch we went back to the tourist center where we had originally bought the cave tickets, as it had a small Cave Discovery Center that was included in the price of the cave tickets. The center was fun for the kids, they enjoyed crawling through a tiny "cave" from one side of a wall and coming out the other. They also have a small movie theater where we watched a short film about the glowworms and the history of the cave. Minutes ticked by, but we still had some time before our guide was expected to show up for the next tour. 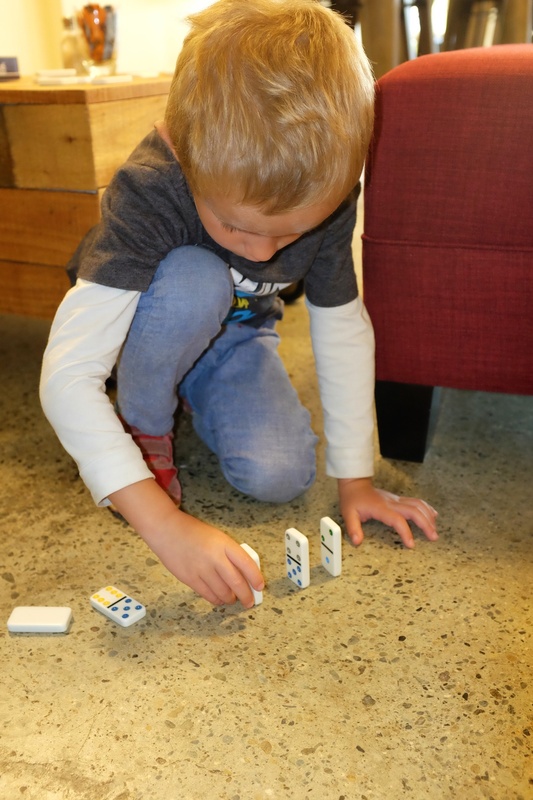 We went to a cafe across the street from the Discovery Center called The General Store, where we sipped on some coffee while the kids busied themselves with dominos. We loved the atmosphere here and would recommend it if you are in the area and need to kill some time. Alas, it was finally time to visit the Ruakuri Cave, which according to a Maori legend was discovered about 400-500 years ago by a young Maori hunting for birds. The cave entrance is newly built and it is very cool! We descended into the cave via a long spiral ramp that illuminates the path down into the darkness. Once all the way at the bottom, a door opened to allow us into the cave. 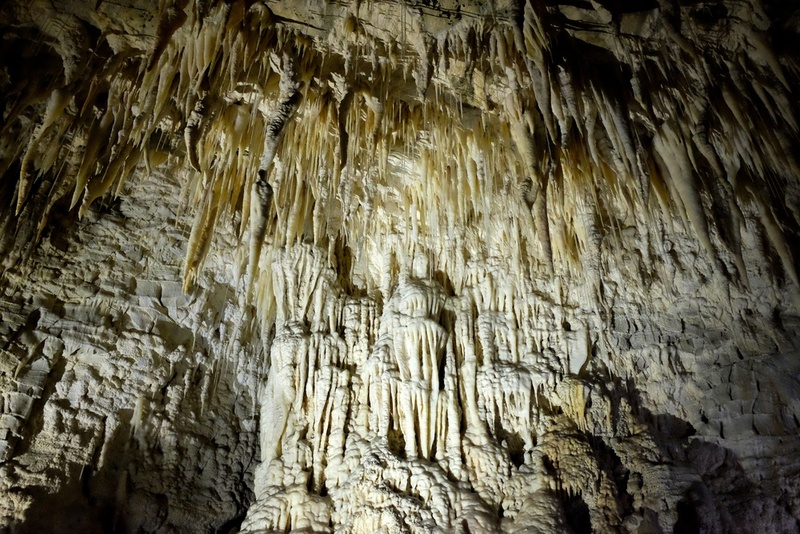 The formations in the cave were remarkable and so white! Before we walked into the cave, we were told that we must refrain from touching anything inside, as the oil on the human skin can alter and damage the natural formations. I really really really wanted to touch the curtain formation (third picture below)...which to me actually looked a bit like an elephant's ear. As we walked, we could hear and caught a glimpse of a few black water rafters in the river below us. These guys and gals jump down from a cliff into the waters down below in the cave. Once there, they can hop in a tube and travel through the cave, getting a different perspective than the land tours. Definitely a daring activity, but since for obvious reasons 5 and 3 year olds are not allowed to participate, we were exempt...sigh of relief for me...I will sooner skydive than black water raft! Alas, our day of caves exploration came to an end upon the conclusion of the Ruakuri Cave tour. 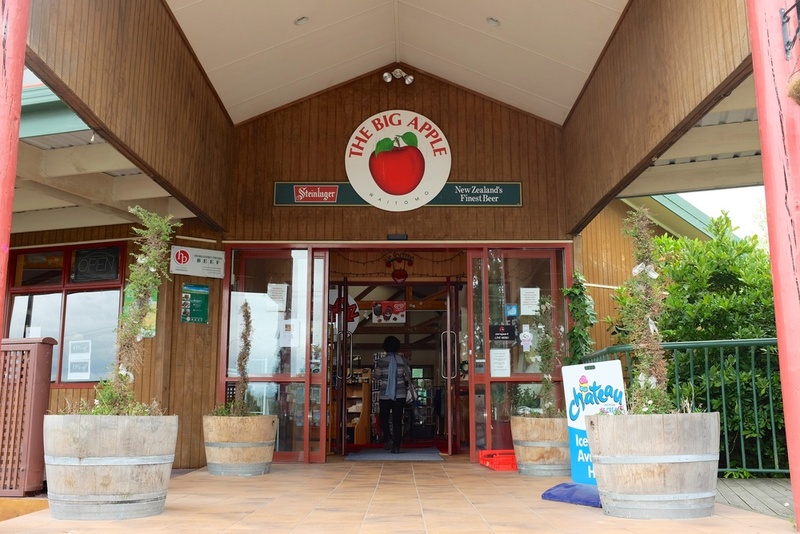 We hopped into our car and headed for our next destination, Taupo. We checked into our teenie tiny room for the night and went out to look for a restaurant. 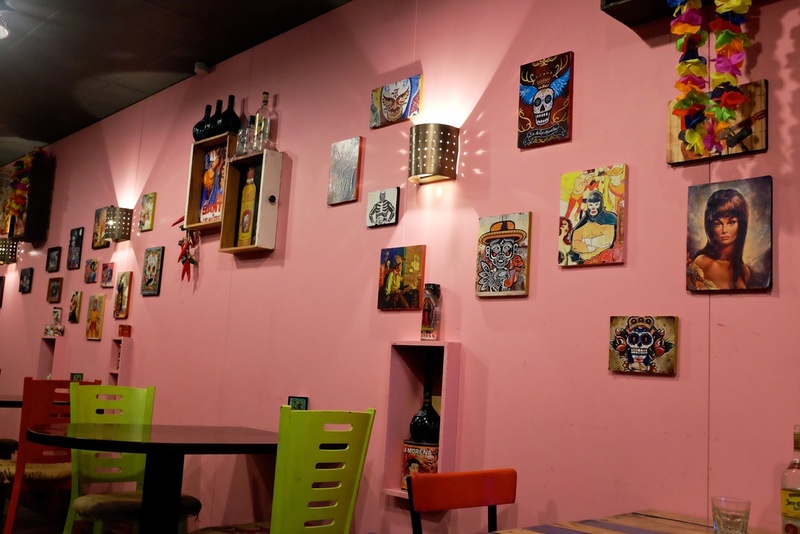 We ended up at Taco Taco, a Mexican restaurant with awesome decorations and delicious food! We are really hoping for warm sunshine tomorrow as we want to explore the Spa Thermal Park and hike to Huka Falls! Lights out! Elmer found us no problem at the Top 10 Holiday Park in Waitomo. We woke up to find him hanging upside down from Hannah's bunkbed. We thought that probably just as he was pulling himself up all the way to sit on the bed, he must have noticed us waking up and said to himself, "well, I guess I'll just hang out." See you in Taupo Elmer!